PatStudio: A Celebration of Slowly Made Goods: Memories . . . .
Larry is a book collector. 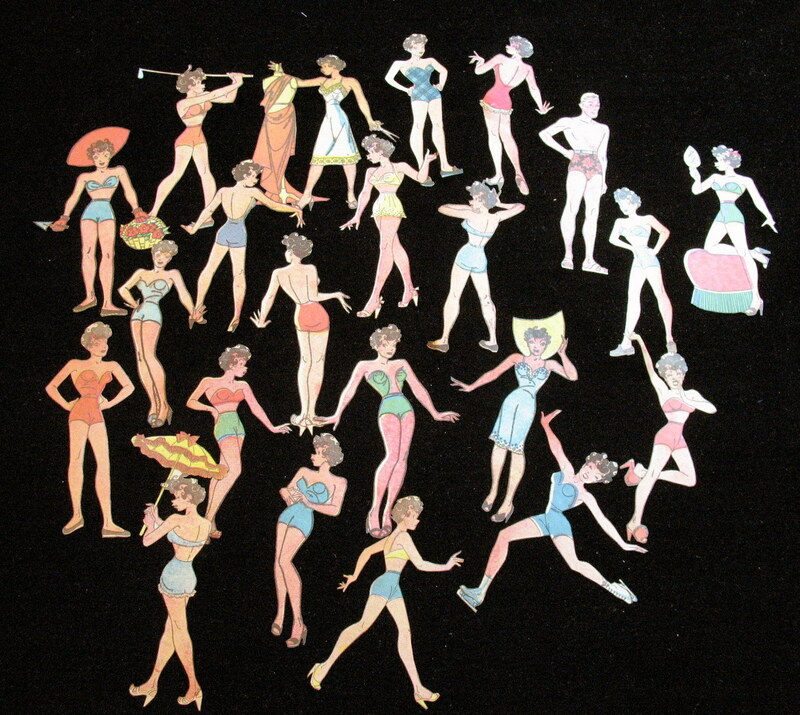 While looking through some of his recent acquisitions, he found a great cache of small vintage paper dolls from the 1940s 1950s. 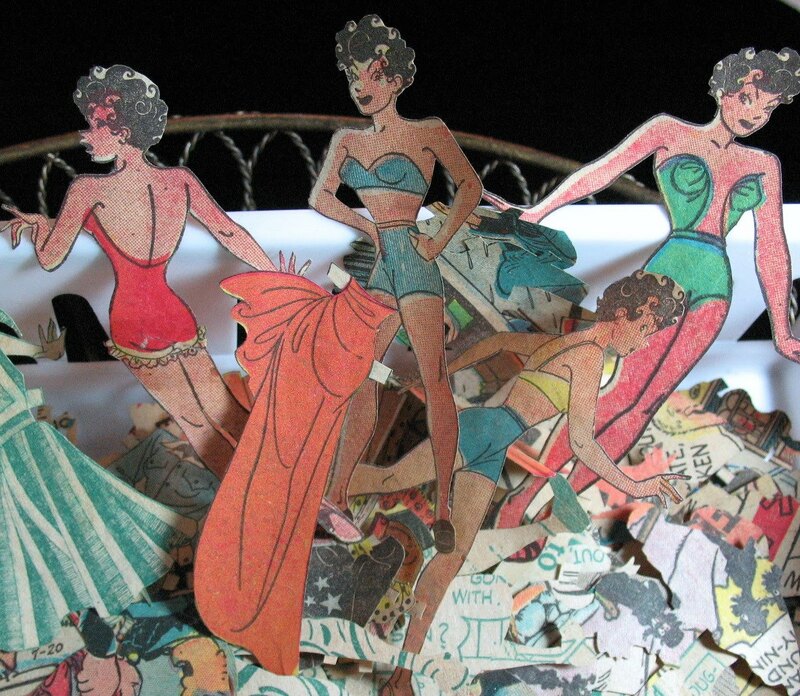 The dolls and their clothes - dozens and dozens -- were carefully and precisely cut from newspapers and pressed into one of his books. He passed them on to me. 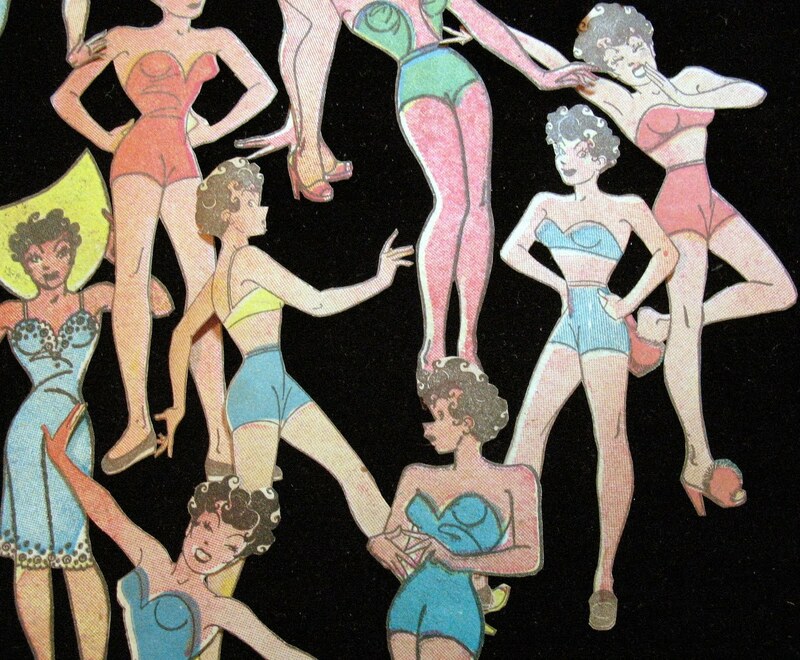 So, I put the paper dolls up for sale in my etsy shop. And, showed them on my facebook page. And that is where the memories began to flow. First, I heard from my cousin, Marilyn, who grew moved to California from Schenectedy when she and I were about ten years old. Now, she lives in Wisconsin and we've only seen one another twice in the last 50 years. 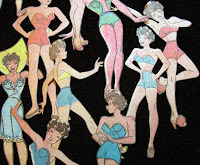 But she read about the vintage paper dolls on facebook and immediately sent a comment with a childhood memory of playing with paper dolls that her mother drew for her. 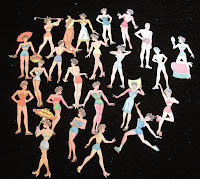 She said she also had store-bought paper dolls but the ones her mom made were her favorites. 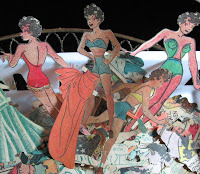 Then, a former work colleague who I haven't seen in about a year sent a comment with her memories of playing with paper dolls. She said she grew up in a city in New York; favorite place to play with her paper dolls was on the front stoop. Of a little girl who loved to visit her paternal grandparents. Who was in fact doted upon because she was the girl they never had and was the first grandchild. ...they were always there and ready for me when I visited or spent the night with them. ...... all the while innocently playing at make-believe. thank you Clare. your comment means a lot.....and btw: i enjoy your blog too! Pat, You have a lovely way of expressing yourself . Where have you gone. Have you set-up a new sight as part of the suggested changes you mentioned?